Snickers Clothing new and redisigned gear up with the ultimate carpenter's toolbelt. 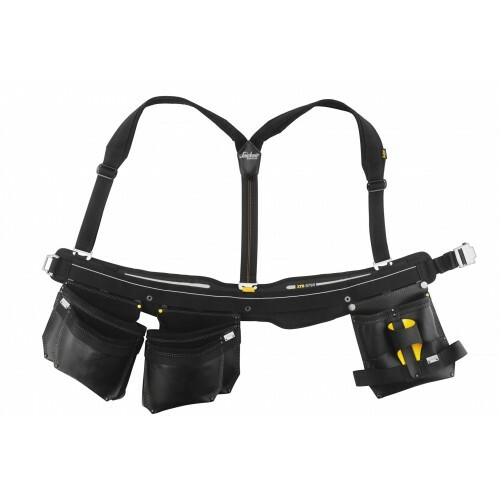 Count on advanced ergonomic design, padded braces and a flexible attachment system that includes hardwearing leather pouches and a special carpenter's tool pouch. Belt in 100% Nylon, 100% Cordura®-Polyamide. Leather pouches.